Most people know that hard work and talent has made Lisa Goodwin-Allen one of only a handful of female chefs to reach the top of her industry. 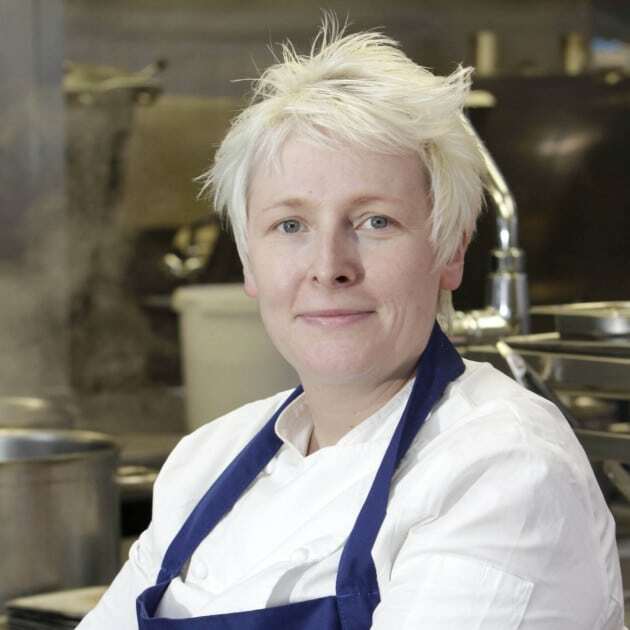 Best known for being Executive Chef of the Michelin starred Northcote restaurant, she was one of four winning contestants on season 5 of the BBC cooking show Great British Menu, which was soon to be followed by an appearance on MasterChef as mentor for the shows’ semi-finalists. Lisa lives and breathes food, her love of Game shone through during her time on Great British Menu with the use of rabbit in her winning dish. It is this passion which makes Lisa a fantastic ambassador for the School Game Changer Project, a position she has recently accepted to help inspire more families to cook with it. The School Game Changer Project is a partnership between Taste of Game and the Food Teachers Centre. Created to build a long term, sustainable market for Game in the UK by educating a future generation to cook with the meat, it has been successfully running in schools since 2017 and the team have trained over 70 teachers across the country on the program so far. Using criteria for the skills requirement in exam boards for GCSE’s in England, the Food Teachers Centre and Taste of Game have ensured that Game, and in particular, pheasant, is now part of the GCSE curriculum. As a wild and natural part of our countryside harvest, Game is part of our heritage but it is also a vibrant and modern addition to today’s lifestyles and food choices. A recent Mintel report suggests that most consumers would buy Game if they knew how to cook it, however a large proportion of the population have never tried it and this contributes to a reluctance to buy it. Didcot Girls School has recently run the program which has turned students into teachers and advocates of Game, passing their knowledge on within the school. Students can now de-bone a pheasant and use different cuts of meat to produce highly skilled dishes, many of which have been taken around the school to encourage staff and students to try Game. The Taste of Game and Food Teachers Centre work with local Game Dealers to facilitate free pheasants for schools and have been overwhelmed by the support and enthusiasm of teachers for the program, with over 300 schools registered for free pheasants to date. Lisa’s role will be to represent the Game Changer Project and deliver masterclasses using a set programme to inspire children and teach them new life skills. She joins a passionate team of professional chefs, including The Game Girl Juanita Hennessy who was a Masterchef finalist last year. Game is becoming more and more prevalent on cooking shows over the years, with James Martin’s new show Saturday Morning featuring recipes for duck, pheasant, partridge and pigeon.